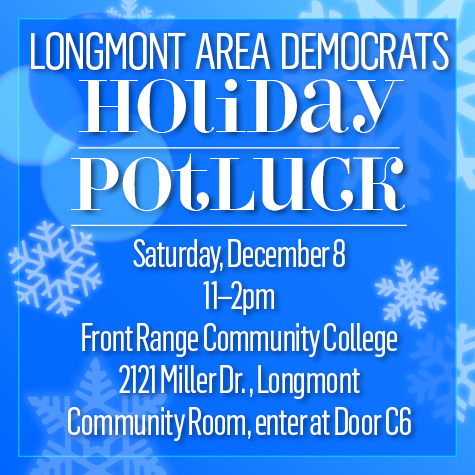 LAD Holiday Potluck: Saturday, Dec. 8! Although this was a challenging, depressing, chaotic year, you didn’t despair: due to your hard work & votes — it culminated in a most gratifying and historic 2018 BLUE WAVE MIDTERM ELECTION! So, let’s CELEBRATE: please come to the LAD Holiday Potluck NEXT Saturday, for good food, comfort, camaraderie, and good cheer for the season! We have a bit of business — approving a minor change to our bylaws* and electing the LAD Board (most board members will be continuing their service), and there will be elected officials in attendance. Current and newly signed up members will get voting credentials, but everyone is invited to share in the holiday fun! 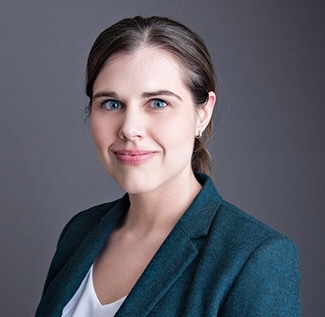 AND…as a special treat, we’ll have Jena Griswold, our Secretary of State-elect! • Jena started with a “shoestring” campaign, ultimately garnering endorsements from President Barack Obama and Vice President Joe Biden. • Jena is the first Democrat ELECTED since 1955 (Bernie Bueshcher was appointed for one term in 2009), and first Democratic female ever elected to SOS! If you are a current member of LAD, we THANK YOU for your contribution in the past year! Many folks use the Holiday Potluck as an opportunity to renew or, if you like the work we are doing, to sign up for membership ($25/year per person, cash or check, thanks!). Please join us…and please, bring a friend! Saturday, December 8, 11am–2pm, Front Range Community College, 2121 Miller Drive, Classroom Building (east side of Miller Drive), Community Room. (go in door C6 — this is a different door than usual. Map here. We’re trying to avoid interrupting a ceremony that will be happening in the FRCC cafeteria, THANKS!). We’d like to make this as close to a zero waste event as possible: please bring your own service (plate, silverware) and a dish to share (with serving utensil). THANK YOU! *An official call to this meeting was sent to our email list on Nov. 28 & Nov. 30. You can find the revised bylaws here. If you are unfamiliar with the work we do, here’s a look at our past meetings. Comments Off on LAD Holiday Potluck: Saturday, Dec. 8!